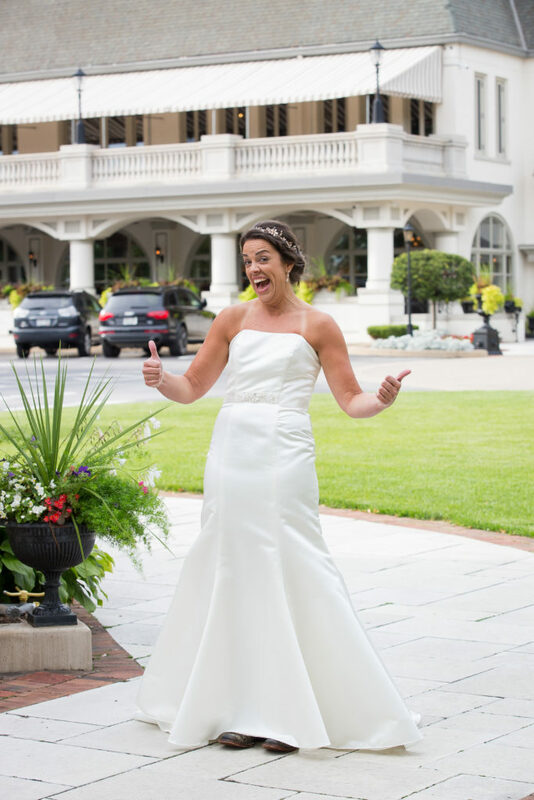 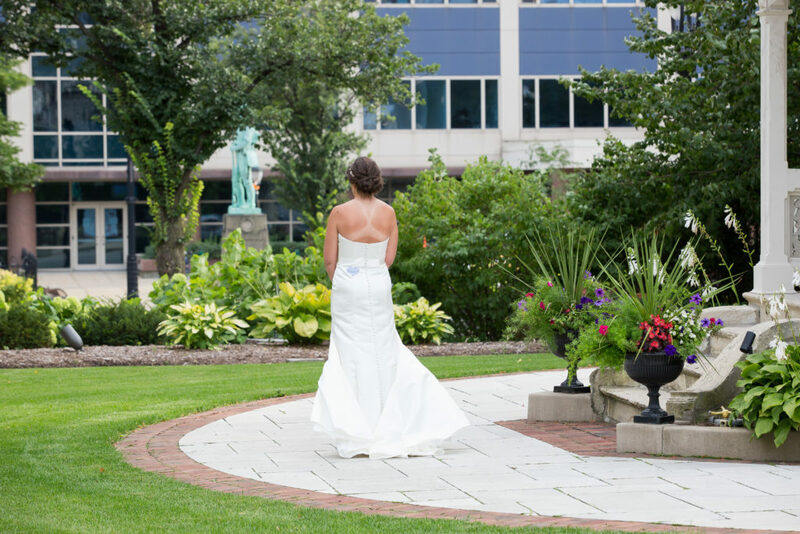 A perfect late summer evening at Milwaukee’s beautiful Wisconsin Club is the perfect place for a wedding. 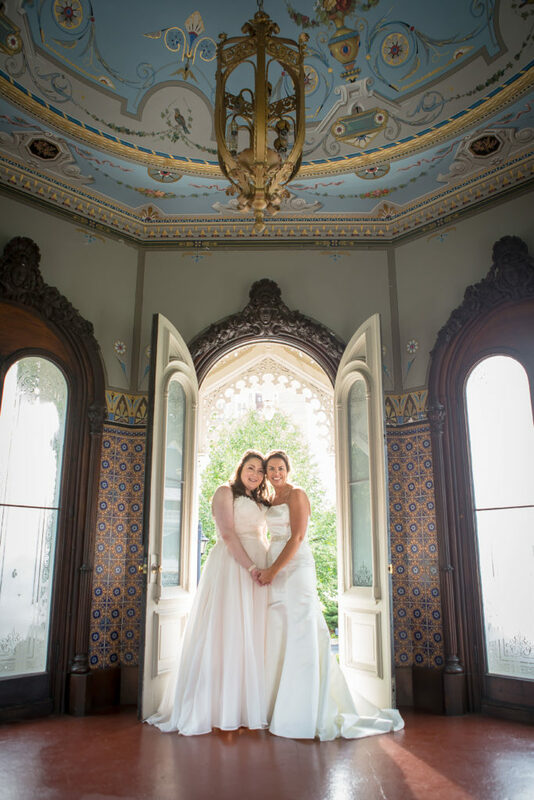 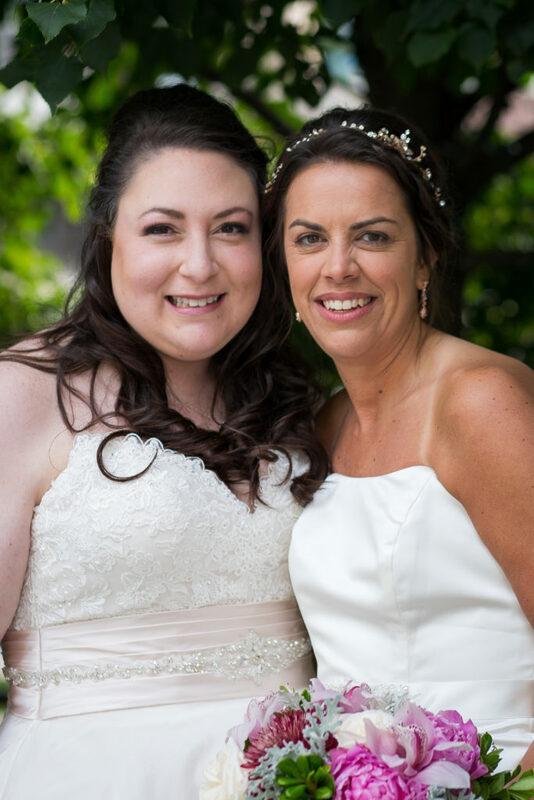 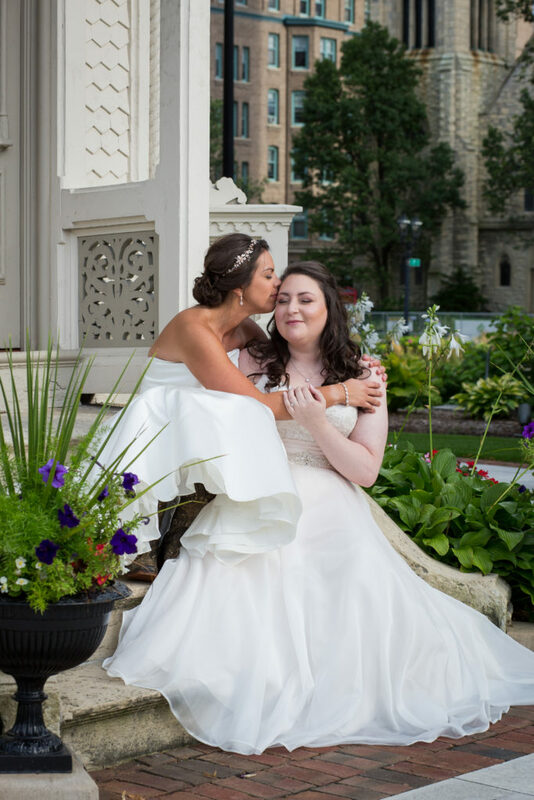 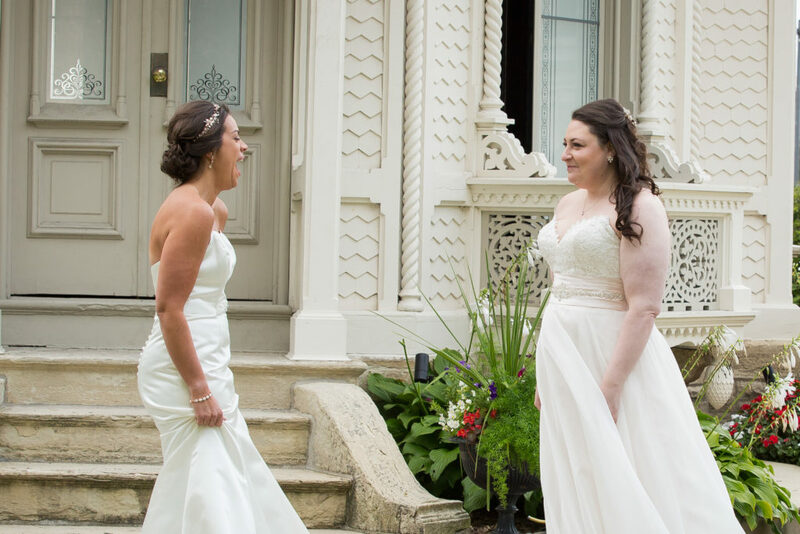 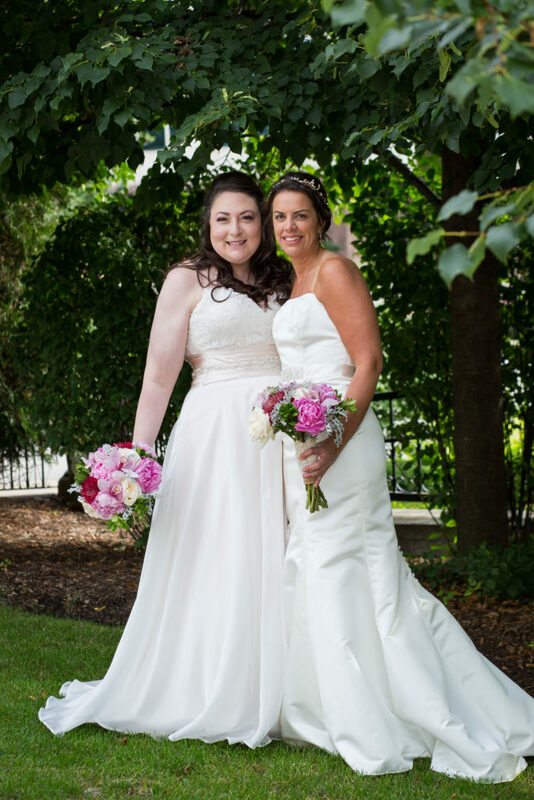 Everything was perfect for Stephanie and Amanda and we are thrilled to be able to share some of their wedding images. 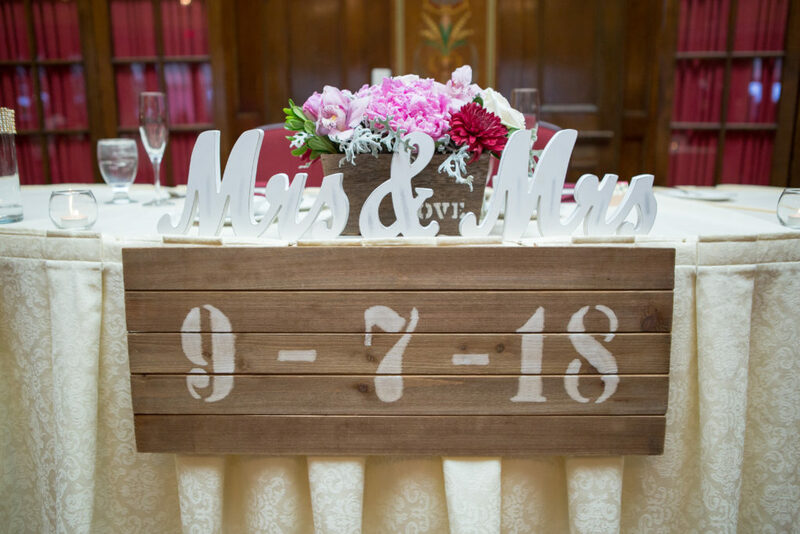 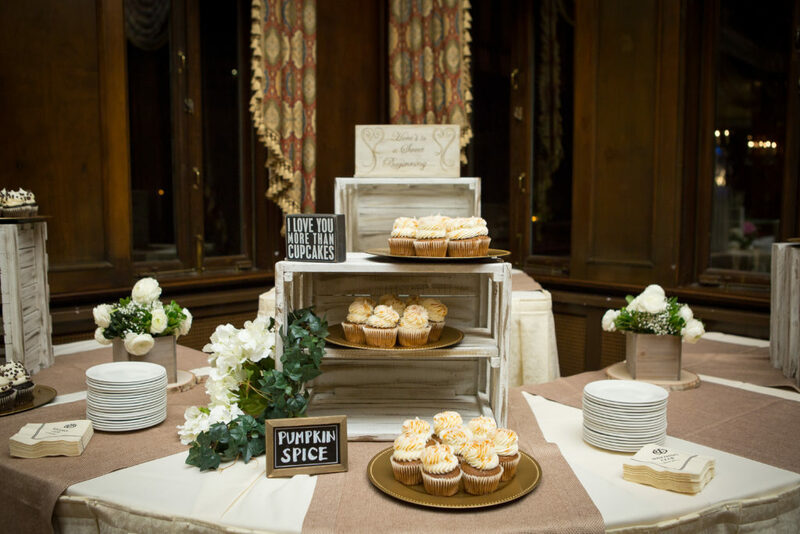 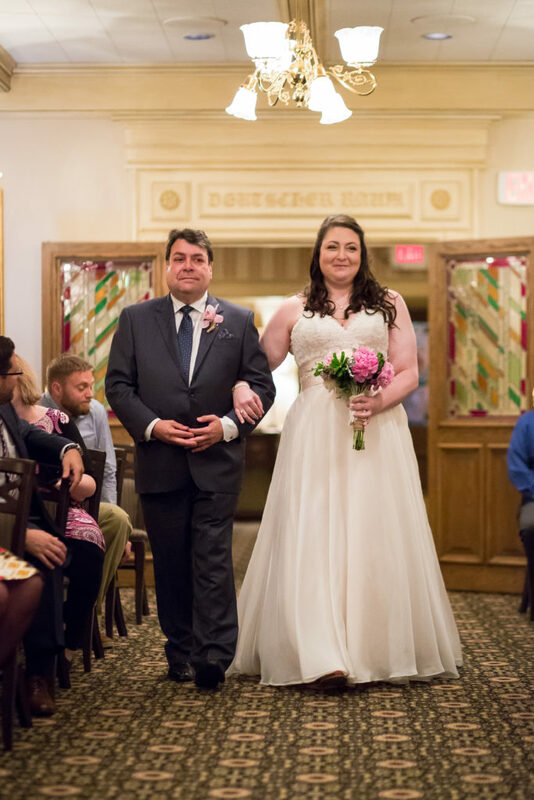 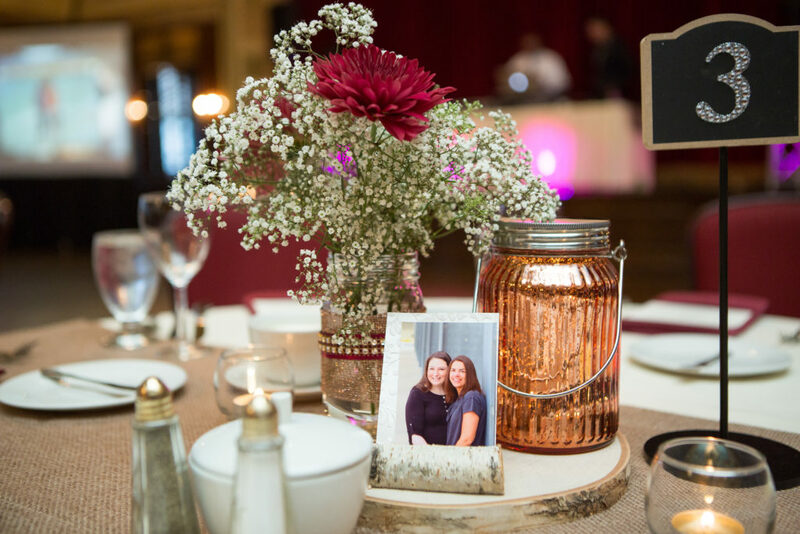 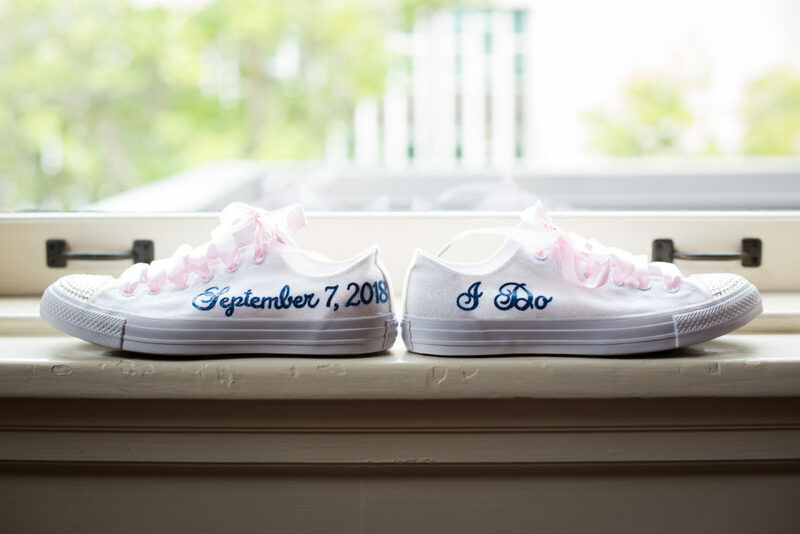 So many personal touches went into their wedding as Stephanie and Amanda created all of the favors and decorations while two close friends made the flower arrangements. 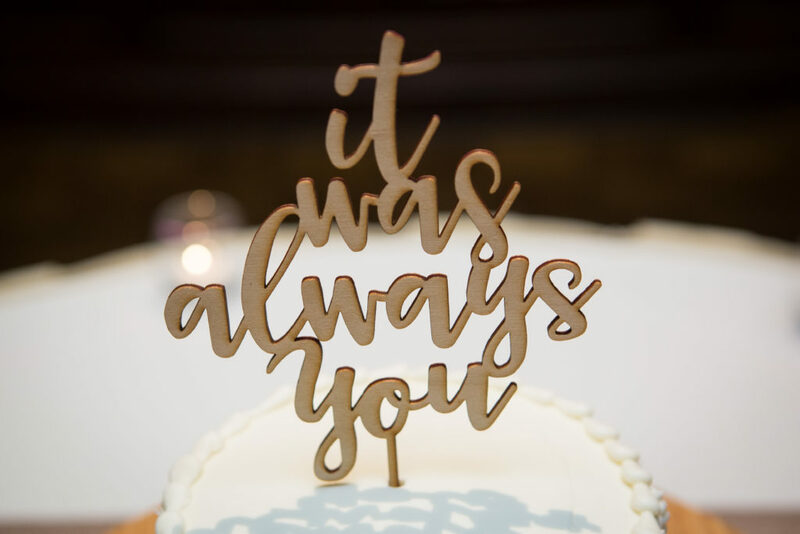 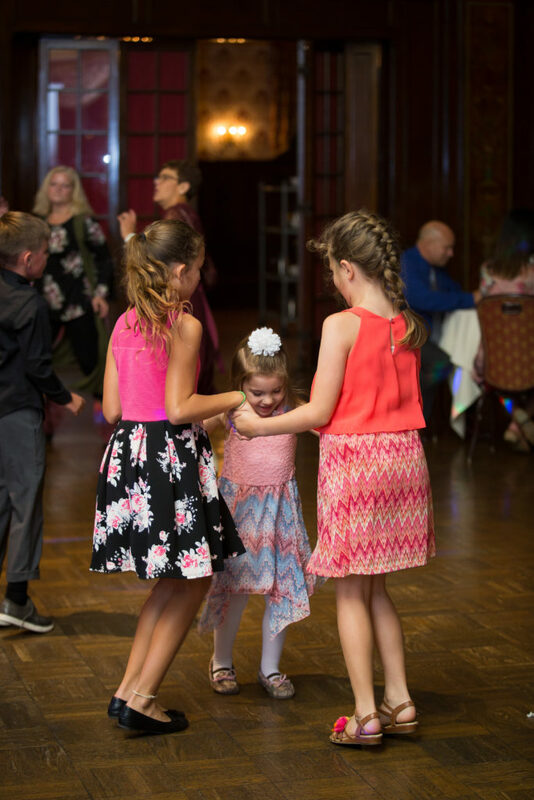 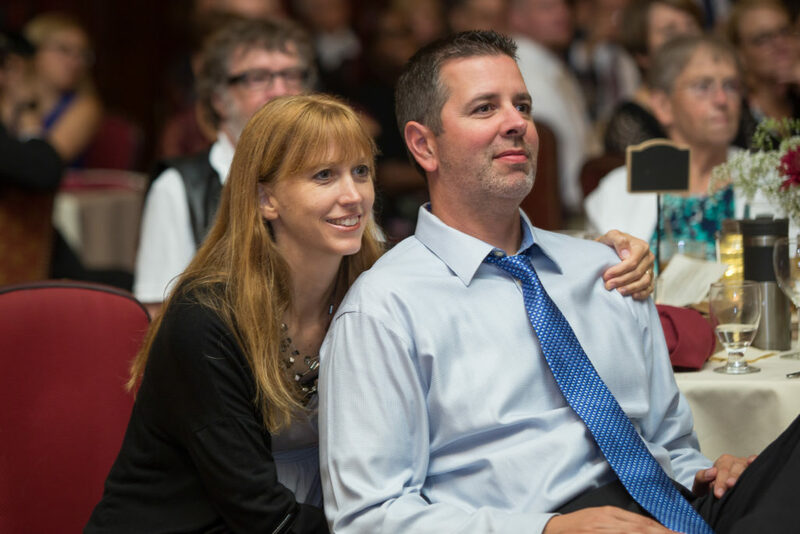 We helped as well by creating a memories video montage of touching photos of the two growing up that they showed at the reception. 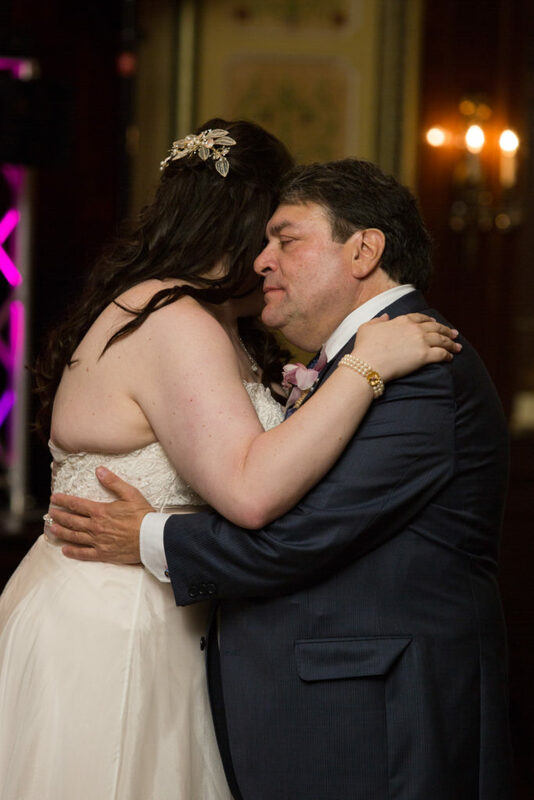 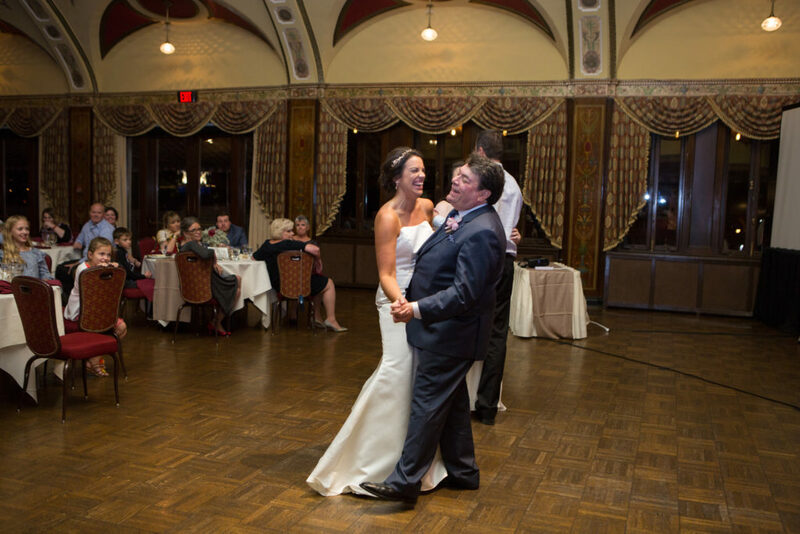 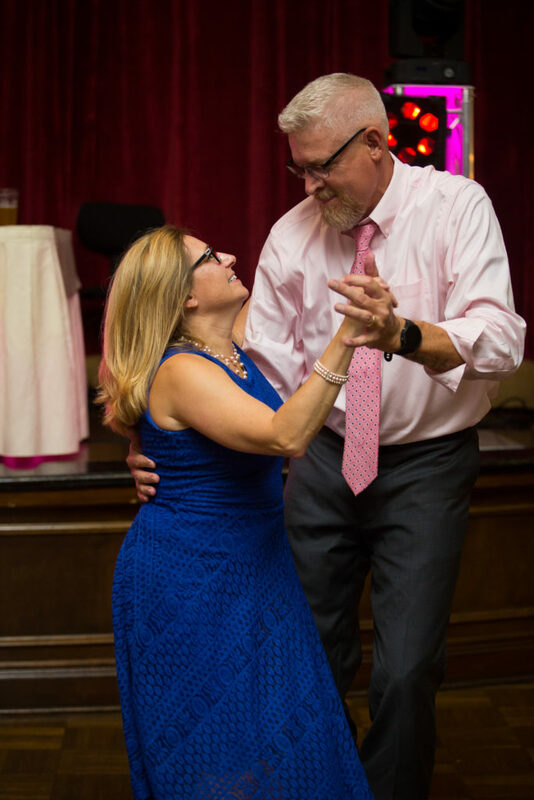 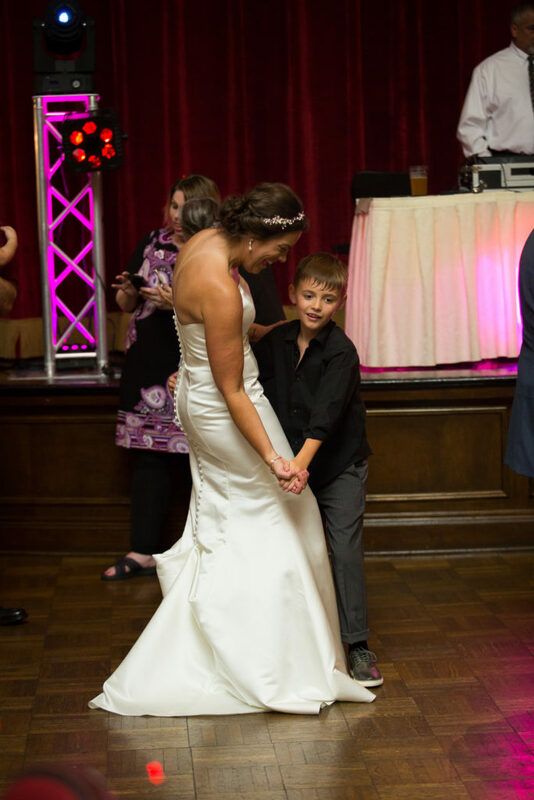 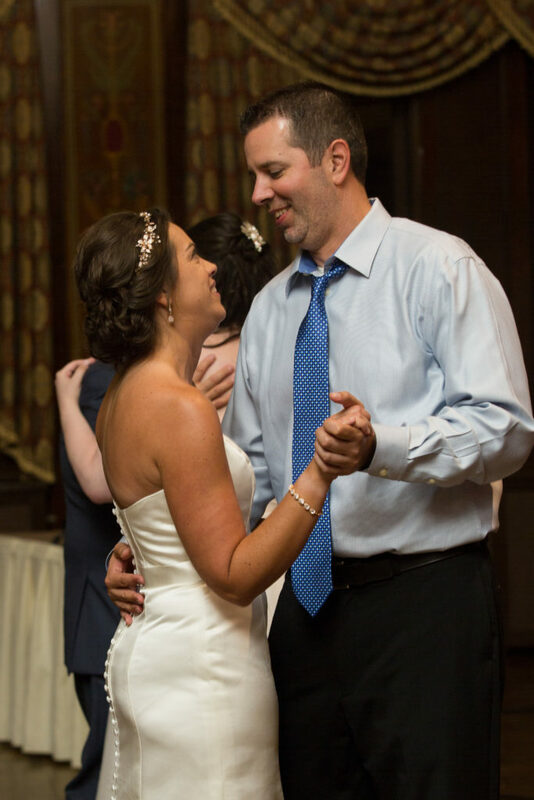 Our photographer Meg captured their wedding photos and our DJ Cesar kept everyone dancing the night away. 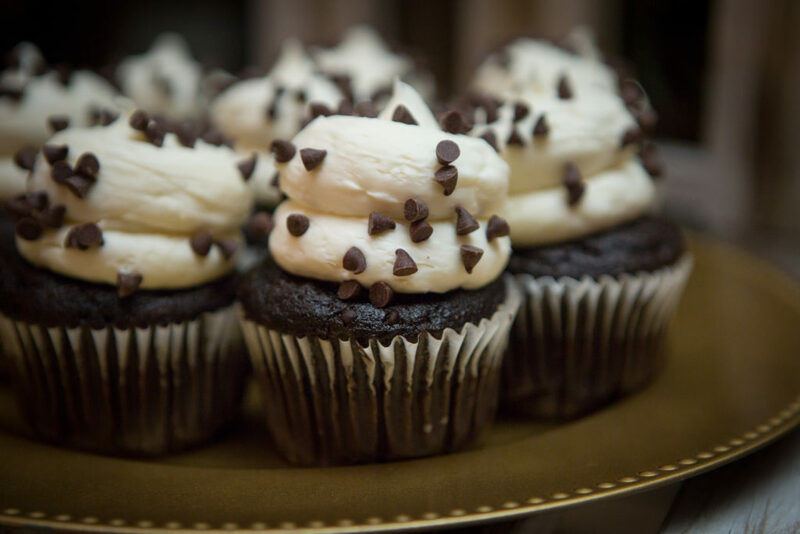 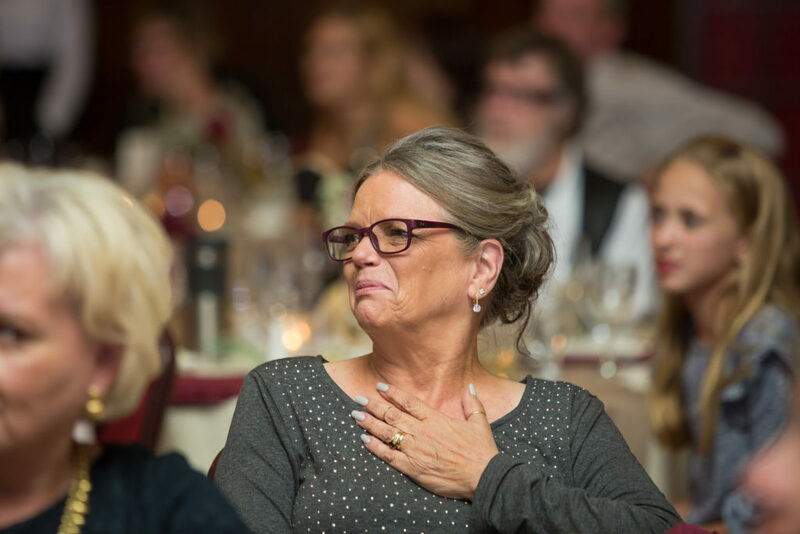 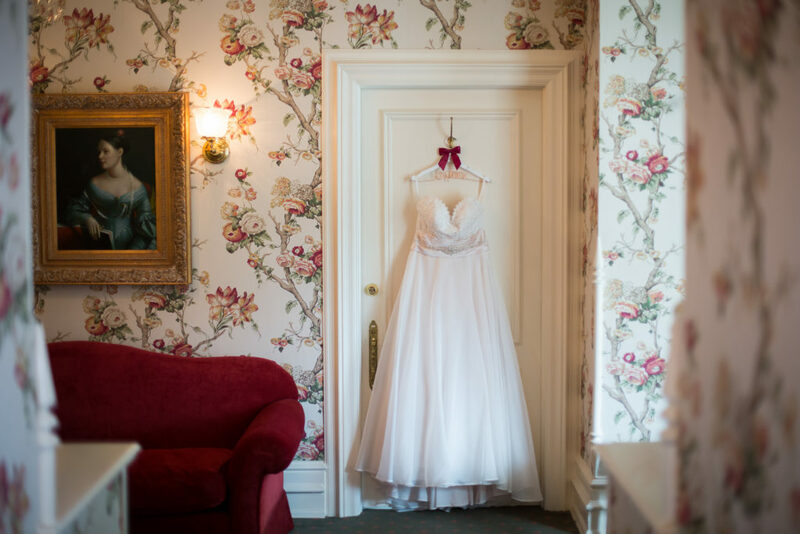 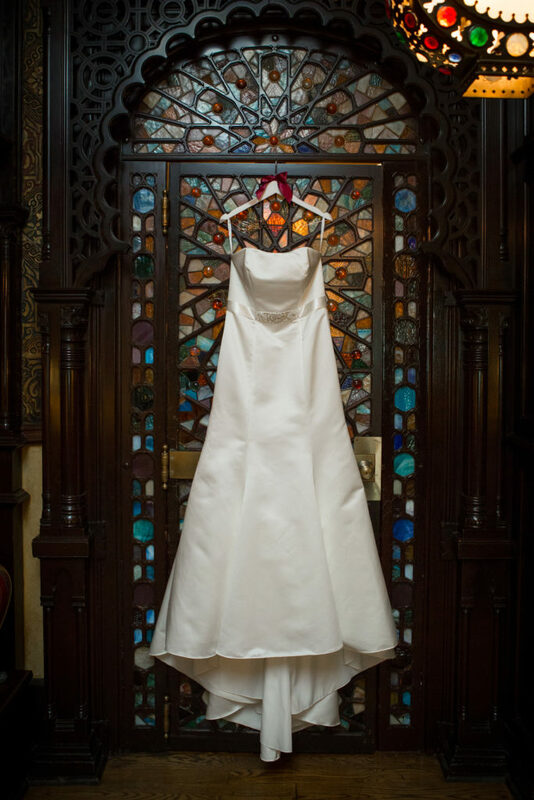 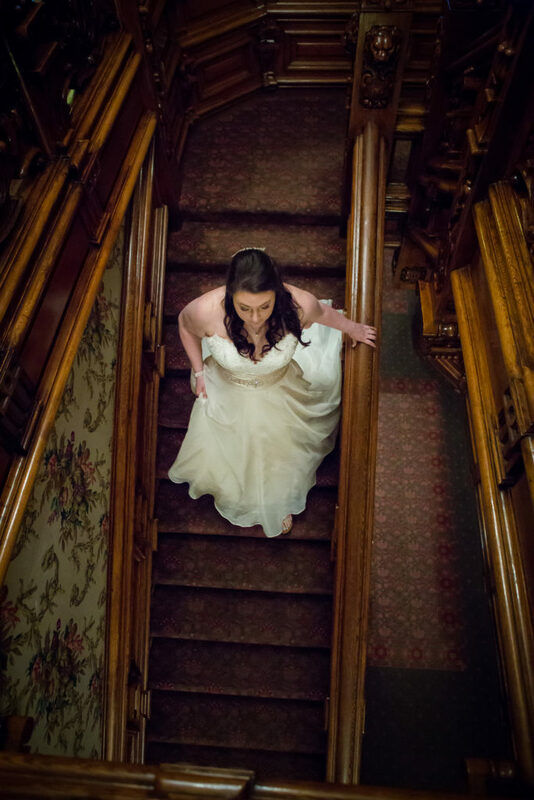 The Wisconsin Club is a wonderful, historic, downtown Milwaukee wedding venue. 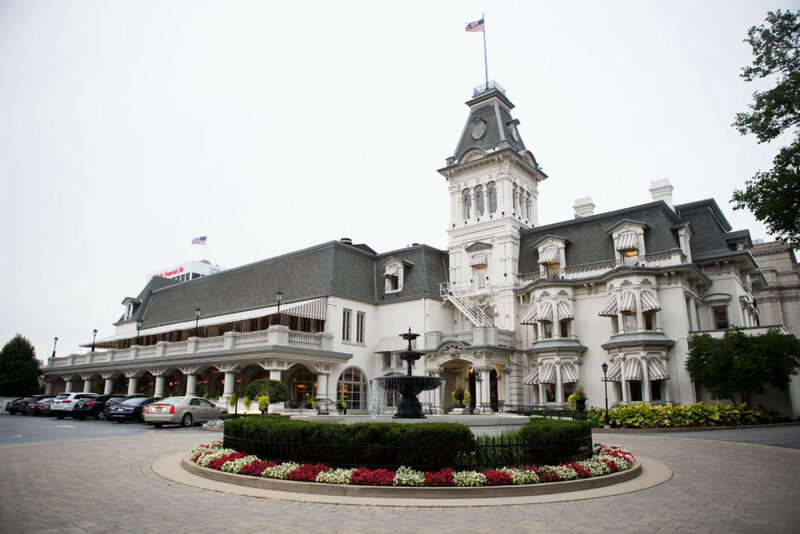 It’s the old Mitchell Mansion, built by one of Milwaukee’s early business leaders in 1848. 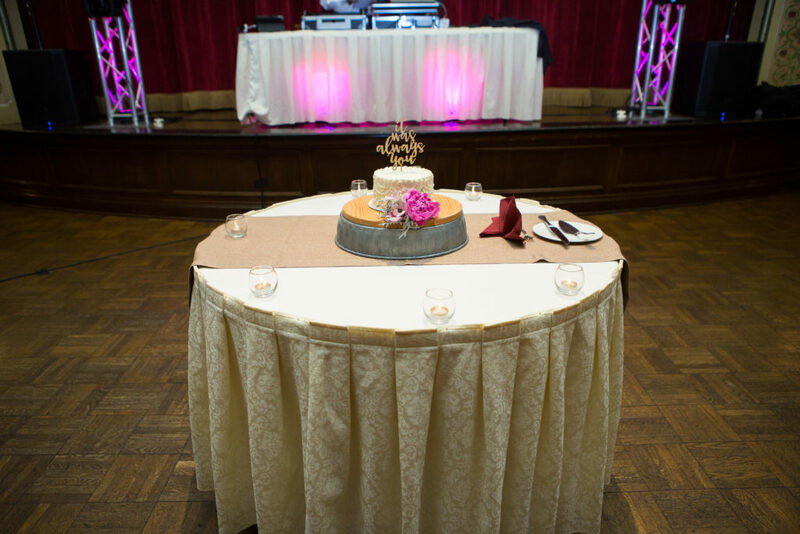 It later became a private club and has long been a favorite venue for weddings and events in Milwaukee. 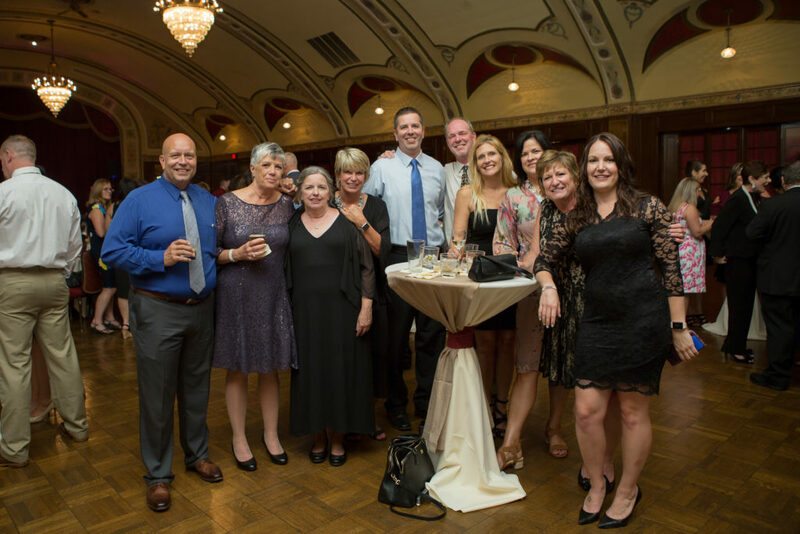 Its grand ballroom can accommodate up to 300 guests for dinner. 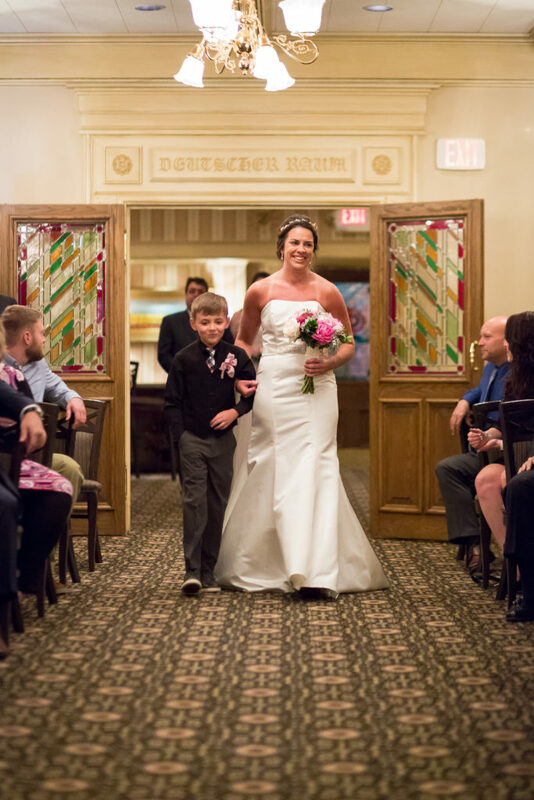 With a stage, a side hall for the bar, and an outside balcony, it makes the perfect place to enjoy your celebration on a warm summer night. 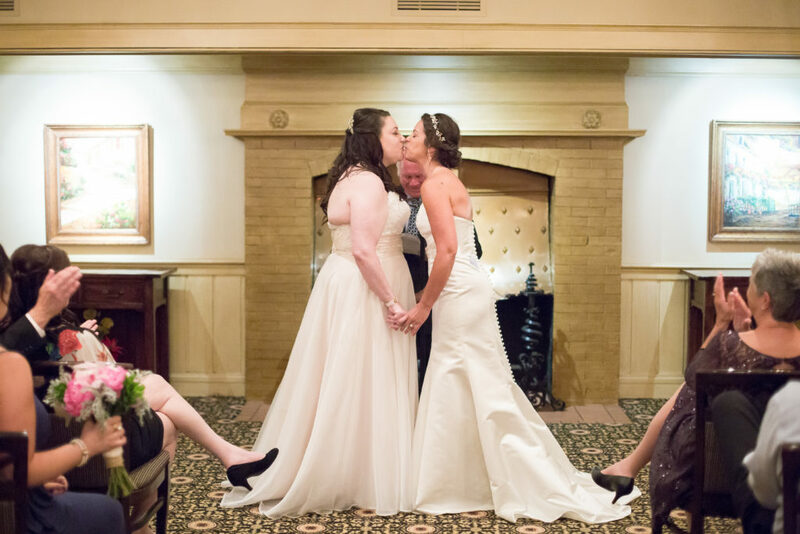 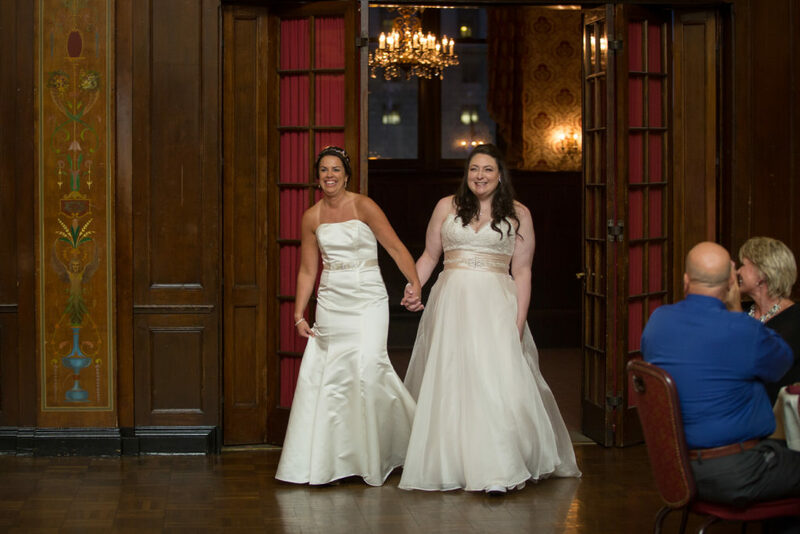 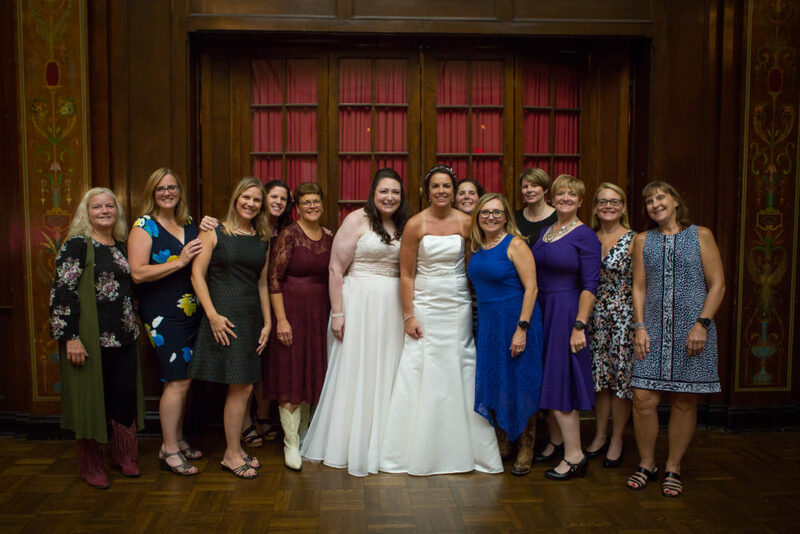 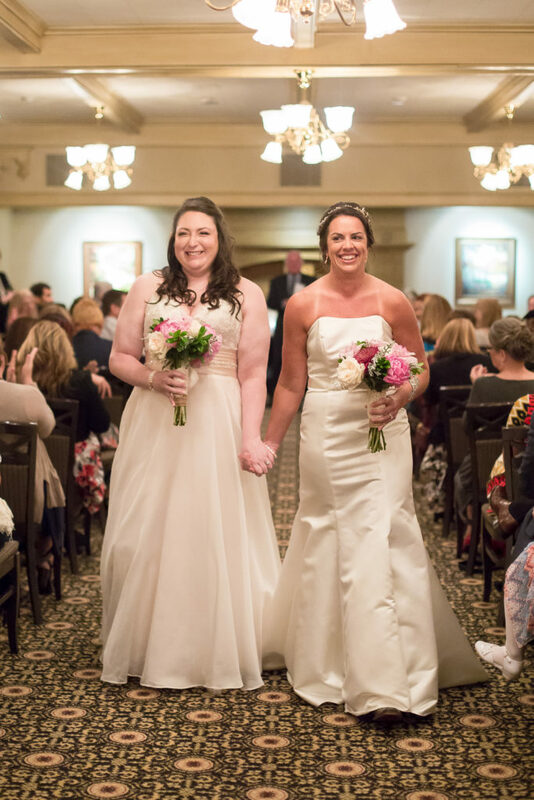 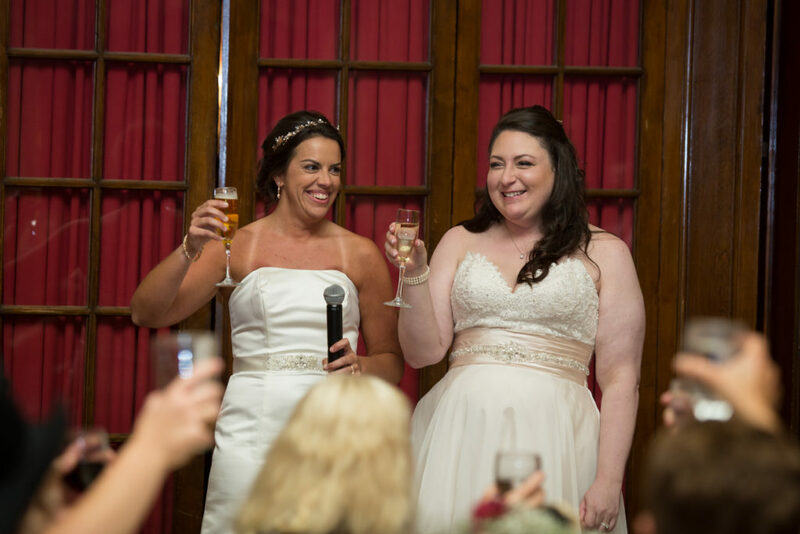 Congratulations again to Stephanie and Amanda, we wish you many years of happiness and thank you for trusting your memories to Cream City Weddings.